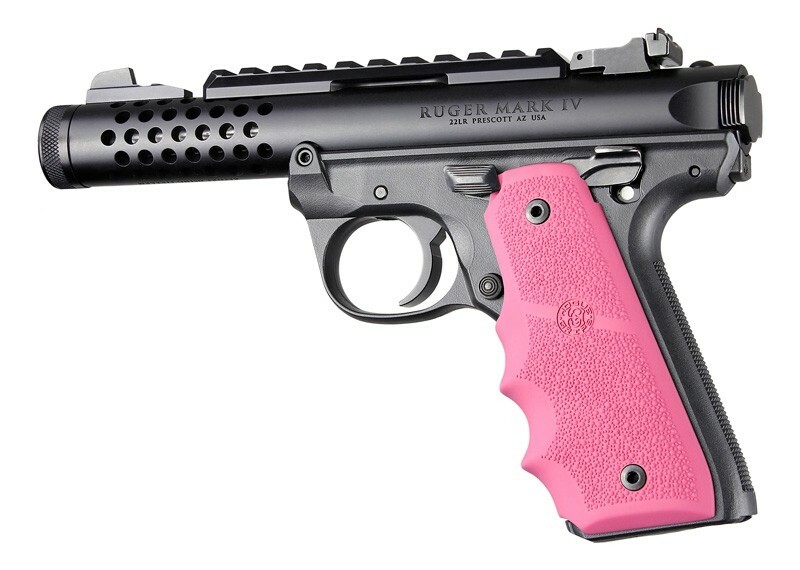 - Wrap around pink rubber grip with pebble surface for Ruger Mark IV 22/45 pistols. 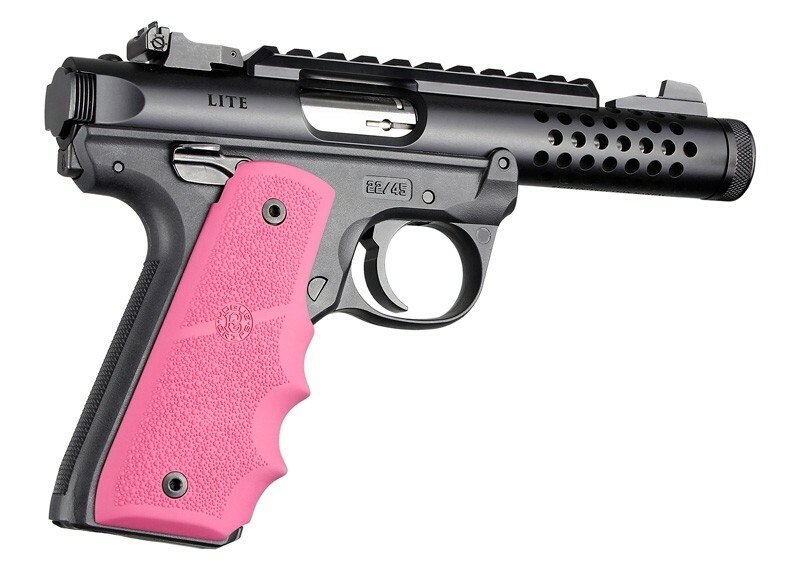 Hogue rubber grips are molded from durable synthetic rubber that is neither spongy nor tacky yet provides a soft recoil absorbing feel without affecting accuracy. This modern rubber requires a completely different molding process than ordinary neoprene resulting in a much superior grip. The flexibility of our materials and molding process has allowed us to produce rubber grips with features that out perform all other makes.